With Thanksgiving almost upon us, the timeliness of this fun example of generosity as a growth strategy couldn’t be better. Most of us in the Kansas City area know Tippin’s as one of most beloved brands in the grocery store when it comes to holiday menu-planning. 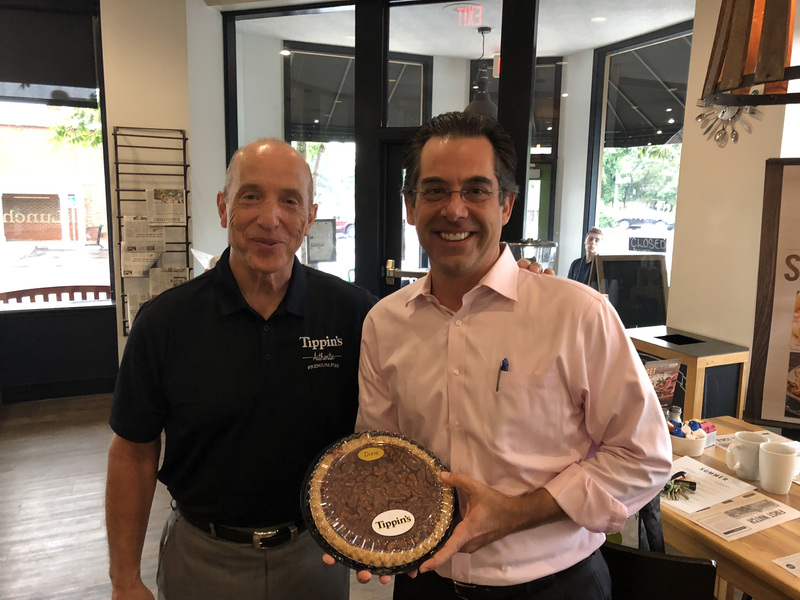 Imagine my surprise and delight recently, when Mark Boyer, the president of Tippin’s contacted me about wanting to deliver fresh pies to my office as part of Tippin’s Random Acts of Pie-ness program! My huge weakness for baked goods (especially pies) combined with my admiration for the novelty of the offer got me thinking: why are random acts of kindness (or pie-ness) so good for work and well-being? Studies show that when people help others they feel stronger, more energetic, calmer, and perceive a higher self-worth. Kindness releases oxytocin hormone, which dilates the blood vessels, reduces blood pressure, and is good for your heart. The recipient of kindness is clearly impacted by kindness. But science suggests that third-party observers are also impacted. Psychology researchers write about the “warm uplifting feeling that people experience when they see unexpected acts of human goodness, kindness, courage, or compassion.” This often inspires third-party observers to be similarly good, kind, courageous, and compassionate. Shouldn’t we be kind to everyone, everyday? Sure, but there are two reasons why there is wisdom to random kindness. The first reason is it’s far less taxing to strive for one random act of kindness over some time period versus being at risk of burning out. Second, random kindness surprises us and breaks up the daily routine. Plus random kindness spreads kindness around no matter if that person has earned it – and it just might make their day. Generosity and kindness are universally appreciated and reciprocated. You feel better, the recipient feels better, and it begets more kindness in general. Find ways to add random acts of kind and generosity to your days. They’re good for your mind, body – and business.